This fun and fascinating trivia game tests your knowledge of the fruit of the vine. Let the battle begin as players answerquestions in categories such as Vine to Vino (growing grapes, making wine, and world production), Wine Cellar (selecting, storing, and tasting wine), and Cork Culture (wine people, business, arts and science, and trivia). 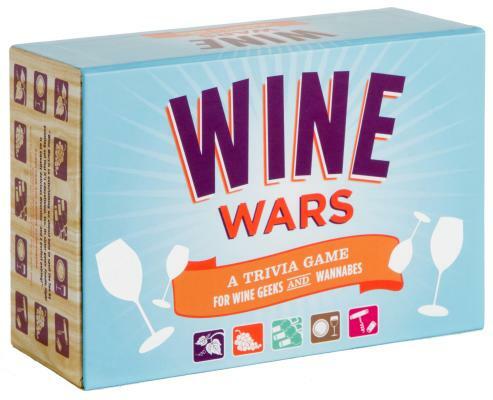 Perfect for those new to the world of wine, but challenging enough for the devoted oenophile, Wine Wars will have you swirling, sniffing, and sipping your way to vinicultural victory.